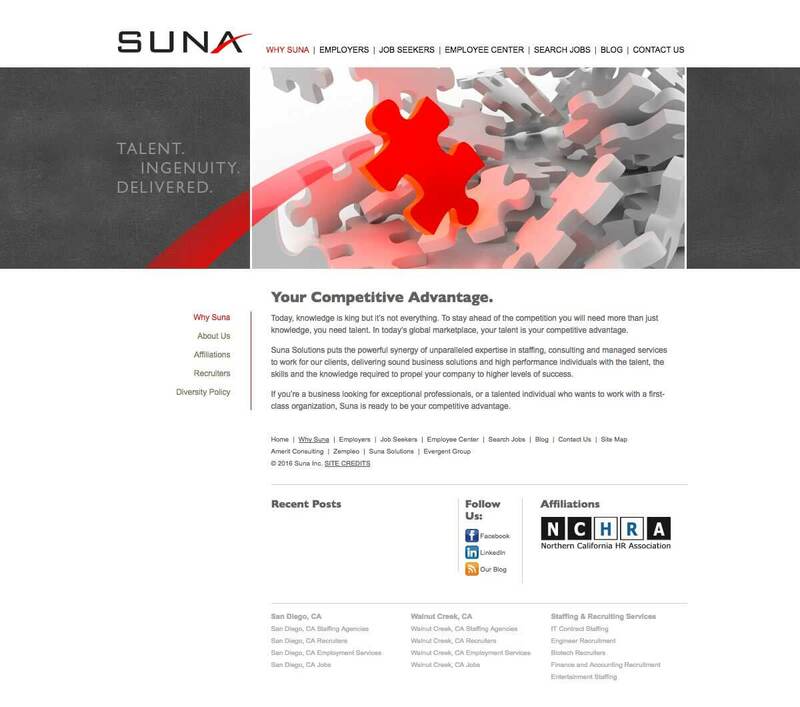 The old Suna Solutions website did not establish any emotional connection with web visitors. 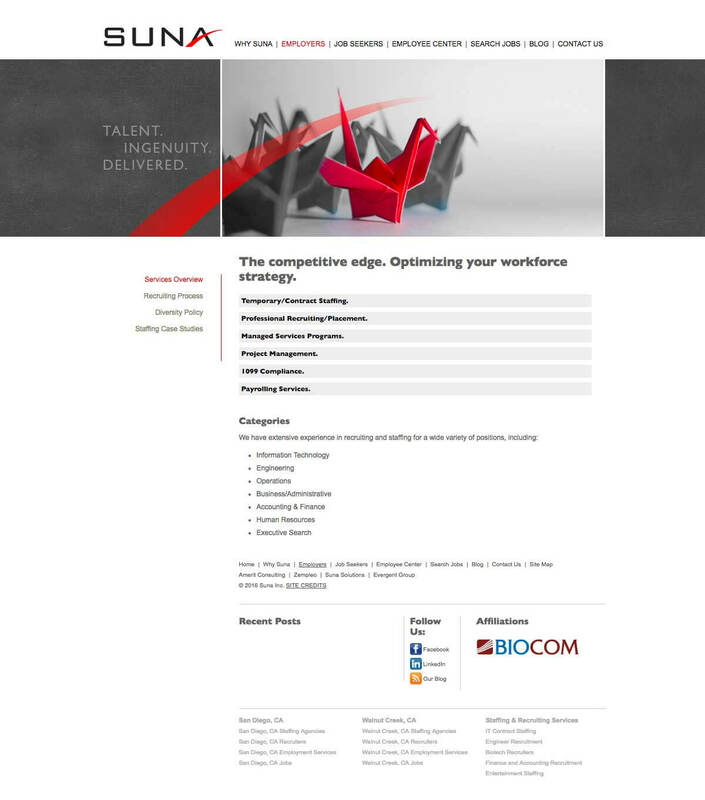 The new website conveys a fun and hip vibe with the objective of attracting the right talent. 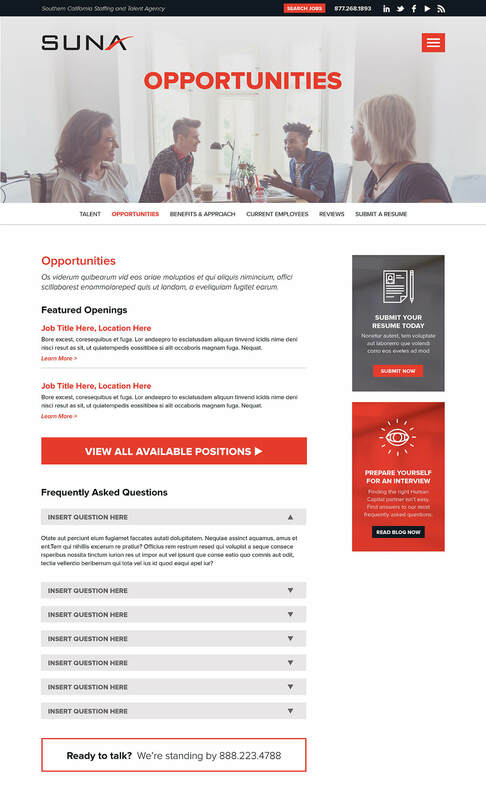 The website plays both a B2B (employers) marketing and B2C (candidates) marketing function.